Space explorers, thanks to you, we’ve raised over $3500 with our GoFundMe campaign! With your help, we’re hoping to reach our goal of $10, 000 to keep programs like our Lift Off After School Program free to our students. Follow this link to make a donation on our GoFundMe page. Every little bit helps and no amount is too small! Our Afterlight Book Club is meeting up this Wednesday, March 2, to discuss the novel Station Eleven by Emily St. John Mandel. An exciting novel set right at the beginning of civilization’s collapse, Station Eleven tells a story about the relationships that sustain us, the transience of fame, and the beauty of the world as we know it. All are welcome to join the discussion (even if you haven’t had time to finish the book). We just ask that you pay what you can to help cover the Meetup costs. See you there! Ever wanted to perfect the fine art of latte design? Sign up for our Latte Art Workshop! We’ll teach you how to make perfect milk foam, and latte designs such as rosettas and hearts. Talented latte artists, Soula and Naomi, lead our Latte Art Workshop. The fee for the workshop is $50 (which goes toward our programs like our Lift Off After School program). Follow this link to find out more and sign up for this exciting opportunity! We’re hosting two installments of our March Break program! First, on Tuesday, March 15th from 10 a.m.-4 p.m., children between the ages of 10 and 13 are invited to participate in a 1-day stop motion workshop. Participants will learn the basics of stop motion animation, and gather their own materials to make a short animation of their own and bring home a USB key with their original video. Next, on Wednesday, March 16th from 10am-12pm Story Planet will be hosting a Storymaker Remix for participants in grades 2-7. With the guidance of a facilitator, participants will create a story as a group and then independently write their own ending. Children can also see their story come to life through the illustrations of one of our artists! Contact liz@storyplanet.ca to sign up for either day! Story Planet supporters, we’re over-the-moon delighted by how supportive you’ve been over the past few years, but we need your help to keep our free kids programming in orbit! Help us keep Story Planet in full rotation by continuing to support us in our quest to reach $10,000 and by volunteering for the many programs we have below. We so appreciate everything you do to help us help our young stars shine! If you haven’t volunteered with us yet, contact Michelle and Katie at volunteer@storyplanet.ca to get started with the application process! Story Planet is opening its portal doors to the citizens of Earth during March Break! First, on Tuesday, March 15th from 10 a.m.-4 p.m., children between the ages of 10 and 13 are invited to participate in a 1-day stop motion workshop. Participants will learn the basics of stop motion animation, and gather their own materials to make a short animation of their own and bring home a USB key with their original video. We are offering barista training for anyone interested in learning about all things caffeine! Mentored by our cafe manager, Naomi, volunteers will help to create drinks to quench the thirst of all long distance space travellers. We are looking for people who can commit for 3 months. For more information contact Naomi at naomi@storyplanet.ca. 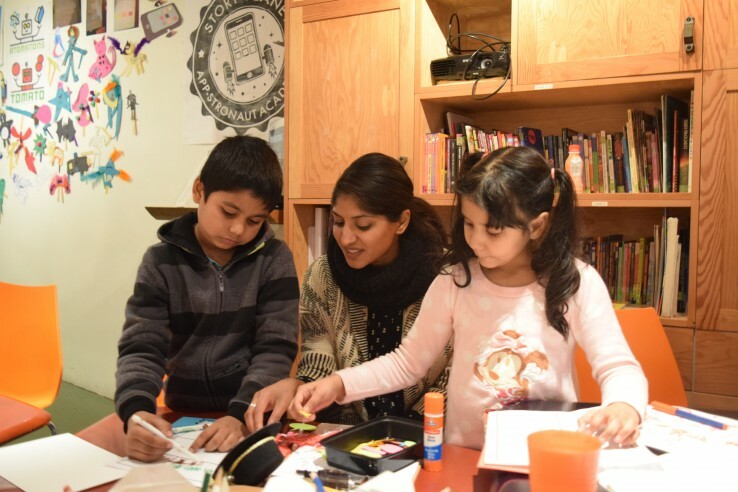 Story Planet is a charity that brings artists, writers, and volunteers together to help children nurture their voice and build communication and literacy skills. Our workshops integrate art, digital media and writing to inspire and spark creativity. Every child gets to experience the thrill of creating something original, whether it’s a book, a film, or a digital story! Our programs are offered free of charge in order to minimize the barriers to participation, but we need donations to make that happen. Please consider donating on our GoFundMe page to help us help more kids. There’s no minimum on the amount you can give. Every little bit helps! Another way to help support Story Planet’s awesome programming is to sign up for our workshops! Do you want to impress the coffee lovers in your life? Sign up for our Latte Art Workshop! We’ll teach you how to make perfect milk foam, and latte designs such as rosettas and hearts. If latte art isn’t really your thing, join us for our next Adult Colouring and Wine event on Friday, February 26. We’ll have lots of supplies for you to use, but you’re welcome to bring your own if you’d prefer. This event starts at 7:30 p.m.. Click here to get your tickets before they sell out. Proceeds from our Adult Colouring and Wine events help fund our free after school programming for kids. Omega Access (OA) is one of Movember Canada’s newest Men’s Health Partners. We are a non-profit media group dedicated to the idea that outstanding, real-world men can inspire a new generation to see masculinity as a spectrum and not a binary. Our goal is to engage our audience in debunking outdated notions of masculinity by celebrating men with healthy lifestyles, alternative identities and productive passion. Please email Liz at liz@storyplanet.ca for more information. Are you looking for an activity for your budding space explorer to do during this Friday’s PD day? Sign them up for our out-of-this-world PD Day drop in! On Friday, February 12 we’ll be hosting a PD Day, Storymaker Remix Edition from 10am-12pm. Students will be working on developing a story together as a shared challenge. The children will work on different characters in dynamic settings, and then they will work together to move the characters through different plot twists. noorin@storyplanet.ca to find out more and sign up! Once upon a time there a place called Story Planet. It was a place full of imagination, laughter, and creativity. Both the tall people of the planet and the shorter people of Story Planet worked together to create wondrous stories that became legends in the universe! But there was an evil force that lurked in the shadows, threatening all that Story Planet was. That force was the Monster Of Nasty Evil Yearning, also known as M.O.N.E.Y! Please help us keep our story in the present tense with a donation, whatever you can do, big or small, we thank you! We’ve started a GoFundMe campaign with a target of $10,000. Please send to your contacts and networks letting them know that even a small gift makes a big difference. Thank you! Last week, our Story Planet Afterlight Book Club discussed the book Frog Music by Emma Donoghue. 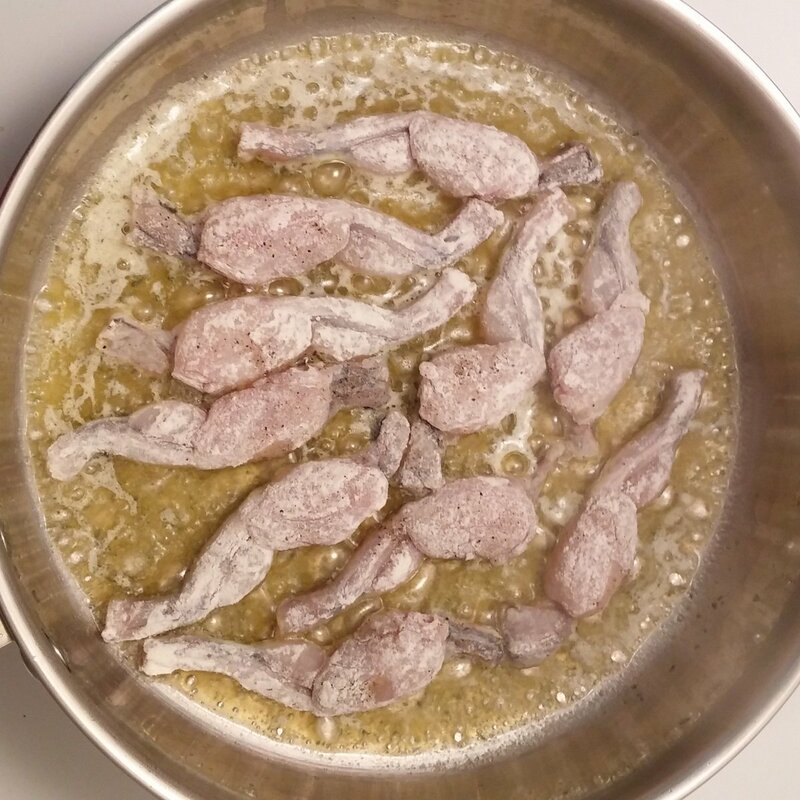 So, naturally, one of our readers prepared yummy book-themed frog leg snacks for everyone. If you missed our last meeting, click here to find out about the our next Meetup event on Wednesday, March 2. Everyone is welcome. We just ask that you contribute on a PWYC basis to help cover the Meetup costs. Happy first of February, friends! We’ve got lots of exciting events coming up this month, including a PD Day workshop on Friday, February 12 and a “Love, Colouring, Chocolate and Wine” event on February 14. If you’d like to help out, email Michelle at volunteer@storyplanet.ca to apply! 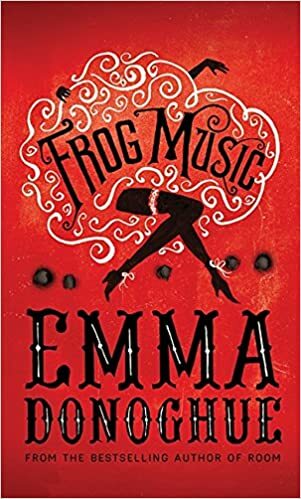 This week, our Story Planet Afterlight Book Club will be meeting to discuss Frog Music by Emma Donoghue, a story set during a heat wave and smallpox epidemic during the 19th century. 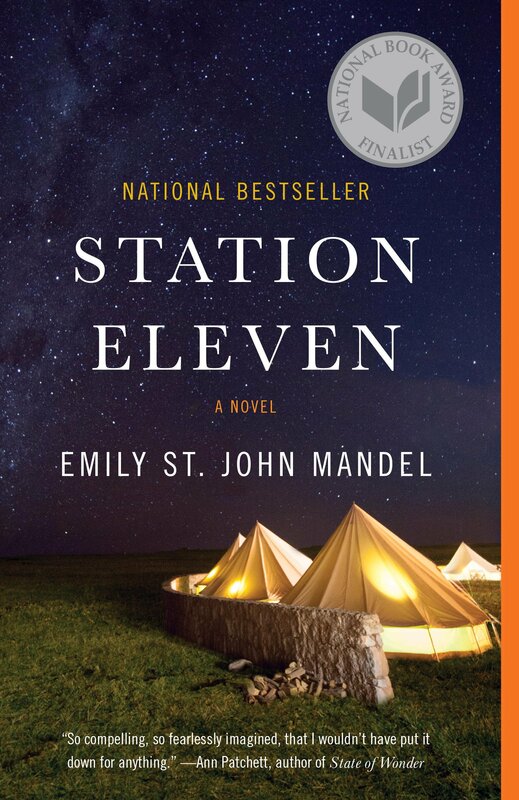 If you haven’t had a chance to read the book, follow this link to find out more about the book we’re reading for March, Station Eleven by Emily St. John Mandel. The Afterlight Book Club is a book club for anyone interested in reading and discussing novels in a fun and relaxed atmosphere. We meet the first Wednesday evening of the month at Story Planet (1165 Bloor St.). We encourage a PWYC system to cover the Meetup costs. Any additional proceeds go towards Story Planet’s charitable creative arts programming for local underserved youth.